The drug belongs to anxiolytic, stress-protective, nootropic drugs. 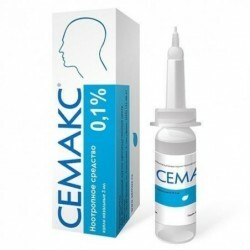 Improves oxygen supply of myocardial tissues; normalizes impaired blood electrolyte balance, the content of potassium ions in plasma, erythrocytes and myocardial cells; helps to enhance protein synthesis and increase the energy resources of the cell. Regulates disturbed night sleep, without any direct hypnotic action. 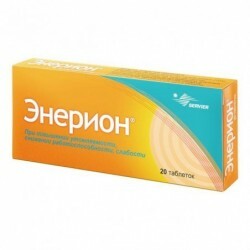 It does not have an anticholinergic and myorelaxant effect, does not violate the coordination of movements. Eases or removes nicotine withdrawal. Neurotic disorders (anxiety, emotional lability, irritability, panic, phobic and anxiety-depressive disorders), which developed as a result of debilitating physical, psychological and emotional stress; Neurosis-like states in patients with alcoholism (the goal of therapy is to reduce the pathological craving for alcohol, psychoactive substances, improve mood, eliminate irritability and asthenia); Tobacco smoking (to reduce craving); Cardialgia, ischemic heart disease and the period of rehabilitation after myocardial infarction (as part of complex therapy). 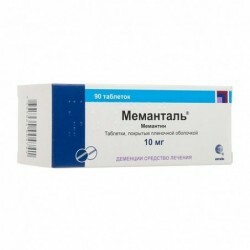 In addition, Mebicar is prescribed to patients undergoing treatment with tranquilizers and neuroleptics (to improve their tolerability). 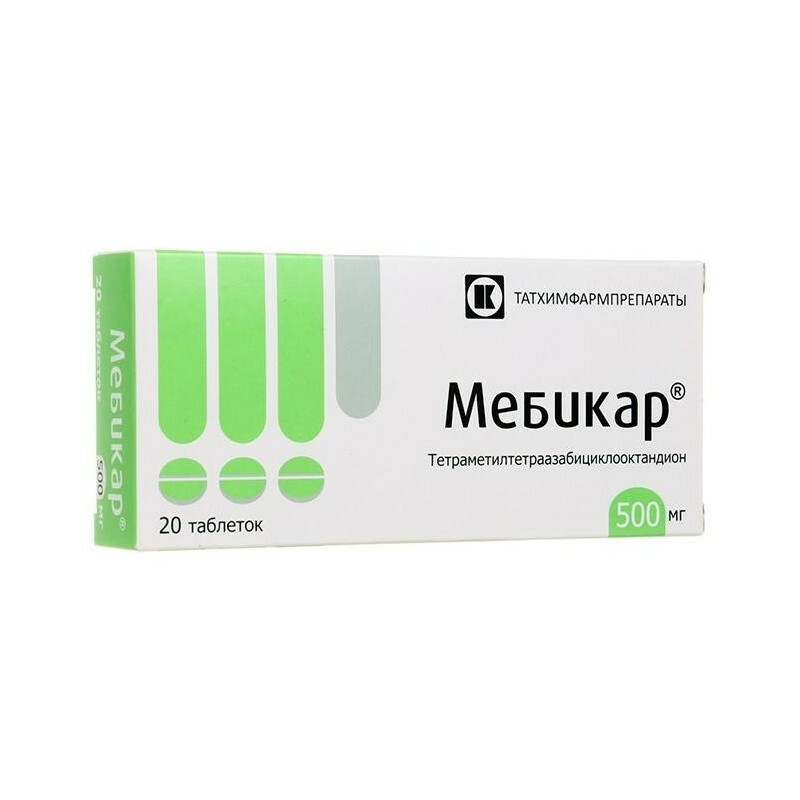 The active substance is mebicar, in 1 tablet 500 mg. Excipients: calcium stearate and povidone (high molecular weight polyvinylpyrrolidone). Adaptol should be taken orally regardless of food intake of 500 mg 2-3 per day. 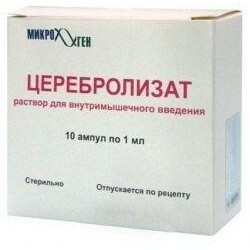 The maximum single dose is 3 g, daily - 10 g. The duration of the course of treatment is from several days to 2-3 months. If the next dose was not taken on time, the treatment is continued in the previously prescribed doses. 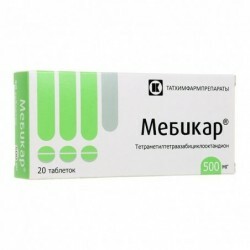 With the use of Adaptol in high doses: possible - allergic reactions and dyspepsia (you should stop taking the drug), lowering blood pressure and body temperature (normalized independently). Adaptol can be combined with neuroleptics, tranquilizers (benzodiazepines), hypnotics, antidepressants and psychostimulants. Adaptol penetrates well into all tissues and body fluids. There are not enough clinical observations on the use of the drug during pregnancy and lactation (breastfeeding), so it is not recommended to prescribe the drug in this category of patients. Adaptol penetrates well into all tissues and body fluids. There is insufficient data on the use of the drug during pregnancy and lactation, so it is not recommended to prescribe it to pregnant and lactating breasts. Effects on the ability to drive motor vehicles are not marked. Adaptol has low toxicity. 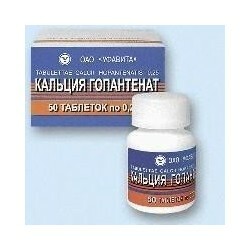 With a significant overdose, it is necessary to carry out conventional methods of detoxification, including gastric lavage.